Social media is a great way for service providers, including dentists, to build relationships, showcase your personality and expertise, and increase referrals. As social media becomes more and more intertwined with all of our day-to-day interactions, it means that all businesses must adapt by being active and present on social networks. With PracticeMojo, our Dental Facebook Pro Solution is a straightforward, easy-to-use service that helps your practice stay engaged with patients, increase referrals, and drive traffic to your website. Whether your practice already has a Facebook page that needs some love, or if you’re completely starting from scratch, we can help. Through customized branding and imagery, we will showcase your practice’s personality and help immediately establish a strong first-impression on your page. 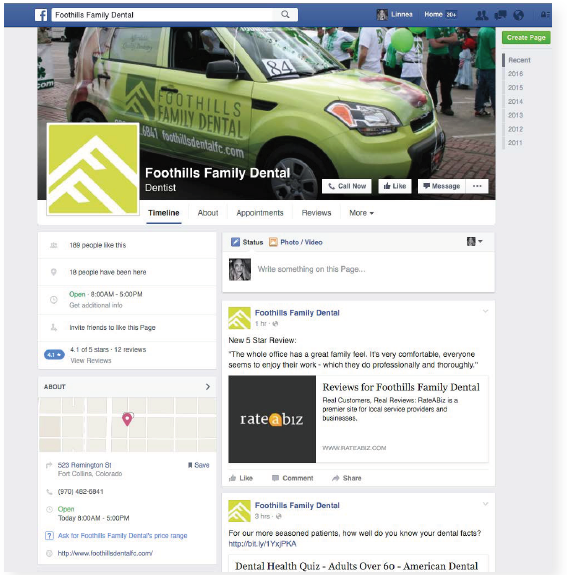 From there, we will integrate various apps to help you get the most out of your Facebook page and additionally send two emails to your practice each week with pre-written, ready-to-go dental posts for Facebook. That way you don’t have to spend time thinking about new content ideas and easily stay engaged and active with current and potential patients online. 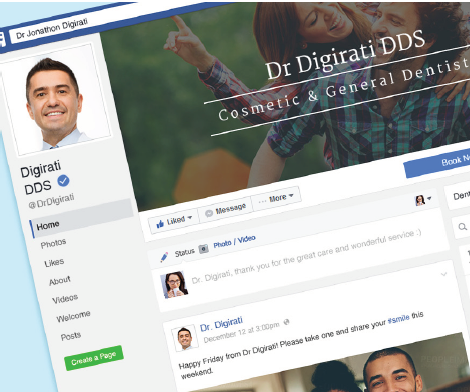 To help your practice stand out and reinforce its personality and brand, our Facebook Pro solution includes a custom, branded timeline cover image. We work with your practice to capture and create an image that truly represents your practice and its vision and aligns with your overall branding. We’ll make sure your image matches the look and feel of your website while bringing in elements of your logo where applicable to establish a strong and cohesive brand image for your practice. Through a custom image that resonates with current and potential patients, you help current and potential patients form an opinion about your practice – is the aesthetic modern and clean? Homey and warm? Whichever feelings you want to evoke through your page, we will help you achieve it. Learn more and request a FREE demo today. One of the biggest differences between our social media service compared to others, is that we take the time to help you build your network of followers through relevant and engaging content that your audience will love. 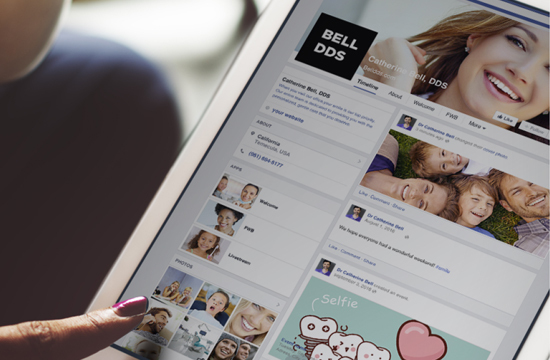 Dental offices who use our Facebook Pro solution will receive an email twice a week with 1-2 pre-written dental Facebook posts in each. This way you can save time with creating new content each week and simply copy and paste the post onto your Facebook page! All posts are designed to be shareable, timely, and relevant, thus increasing the interactions and brand loyalty from your patients. Get a SNEAK PEEK at the Facebook Posts We Provide! Download 15 FREE ready-to-go social media posts today. 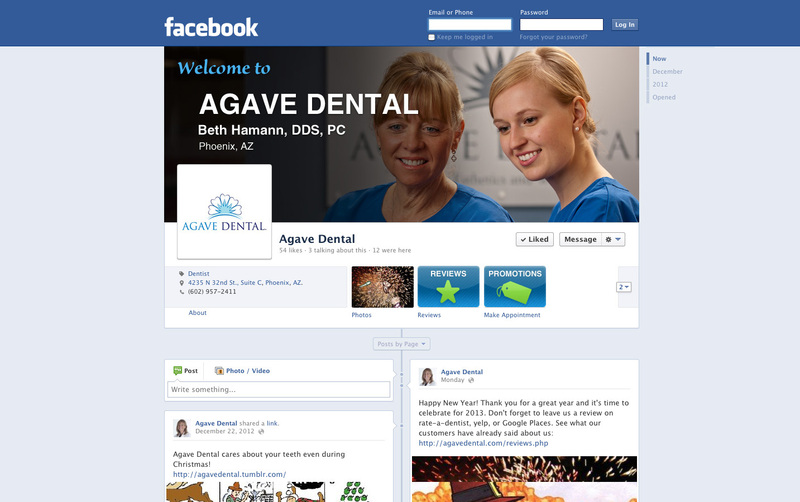 Dental Reviews App helps you monitor, respond to, and showcase positive reviews right on your Facebook page. Reviews help provide credibility to your practice and are critical to building trust among potential new patients. Through the reviews app you can further improve communication and build the relationship with patients by responding to their feedback and using any constructive criticism to make improvements to your practice. Promotional Pro Facebook App enables you to offer patients, their friends, and family members a quarterly promotion. It's great for your practice because to enter the promotion, patients and prospective patients must 'Like' your page, which helps grow your following. To further expand your reach to potential new patients, people may also “share” your promotion on their own personal pages. It’s a great tool for expanding your network and getting in front of more potential patients in your area! Our Facebook Pro Solution is included with both our Partnered and Managed plans. You may also purchase this separately with our Solo package, or a la carte for just $300 setup and $99 a month after that. To learn more, call us at (800) 556-2580 or fill out the form below!